Due to ceremonies on December 7th each year, the park is closed to commercial vehicles and we do not operate our normal tours to the USS Arizona Memorial on that date. Also, on rare occasions, and due to external factors outside of our control (including inclement weather and/or shortages of boat launch tickets), there is the possibility of not being able to visit the Arizona Memorial during your visit. You will still be able to visit the many Arizona exhibits and visitor’s center, the USS Bowfin and other monuments at the park. The US Department of the Interior has declared a, "no bags" policy at the Arizona Memorial and Visitor Center. Passengers may not carry any concealing items. This includes purses, handbags, backpacks, diaper bags, etc. Small cameras are permitted. Allowable vital items may be placed in your pockets. Do not leave any valuables on the bus. This tour does not operate on Christmas, New Year's Day or Thanksgiving. Due to ceremonies on December 7th each year, the park is closed to commercial vehicles and we do not operate our normal tours to the USS Arizona Memorial on that date. Also, on rare occasions, and due to external factors outside of our control (including inclement weather and/or shortages of boat launch tickets), there is the possibility of not being able to visit the Arizona Memorial during your visit. You will still be able to visit the many Arizona exhibits and visitor’s centers. Roundtrip transportation and expert narration are included on all of our tours. 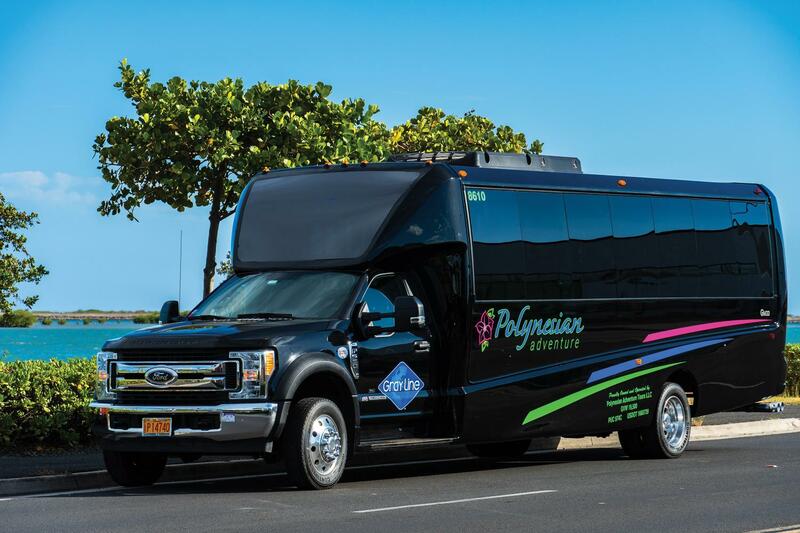 Leave the driving to us as you travel in comfort on our luxury mini coach that will take you to Pearl Harbor, the Arizona Memorial, Punchbowl National Cemetery, and downtown Historic Honolulu. 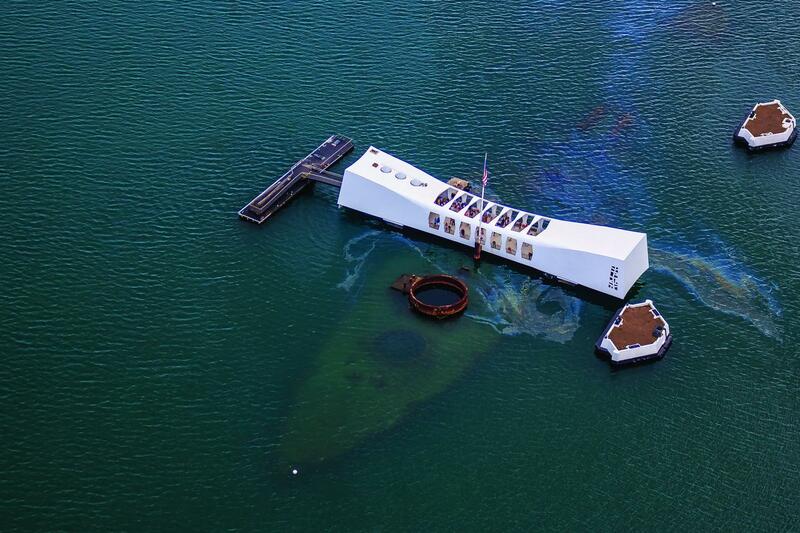 Our Pearl Harbor tour will leave you with an overwhelming sense of history and memories you can share for a lifetime. Your Pearl Harbor tour starts at the visitor center, where you will watch an excellent film about the surprise attack on Pearl Harbor. Browse through the informative displays and learn more about that day that changed the course of American history. Food areas and snack vendors are available so you will be able to grab a bite to eat. 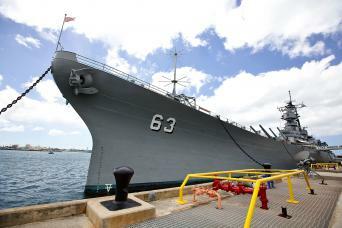 Travel aboard a US Navy Launch for the quick ride across the harbor to view Arizona Memorial, which is built over the sunken remains of the ship itself. Let the serenity of the ocean soothe you as you take in its beauty. 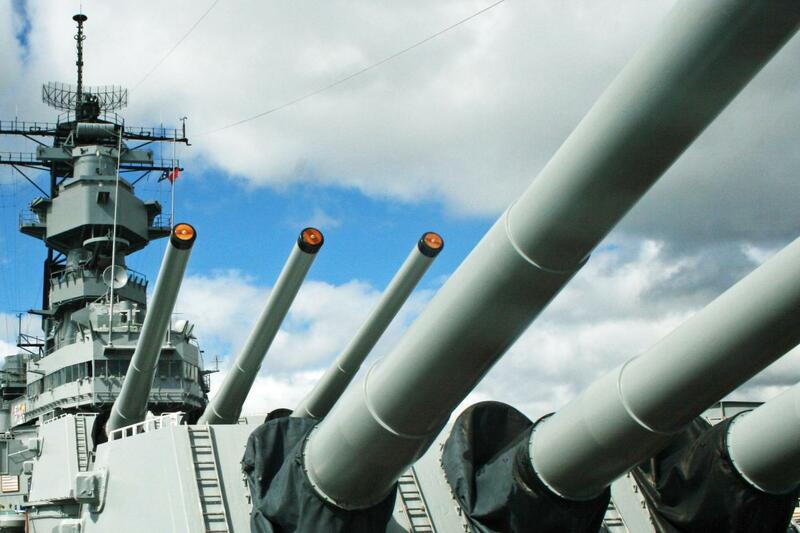 The next destination is a one hour guided tour of the battleship known as the Mighty Mo, the last battleship built by the US Navy, as well as the site of the Japanese surrender of WWII. Walk the decks, admire the massive size of this historic ship, and stand on the spot of the signing of the treaty that ended World War II. Continuing on your tour, you will experience a fact-filled, expertly narrated drive through the Punchbowl National Cemetery. Enjoy the expertly maintained grounds and see the Court of the Missing which includes the names of every American missing in WWII, the Korean War and the Vietnam War. 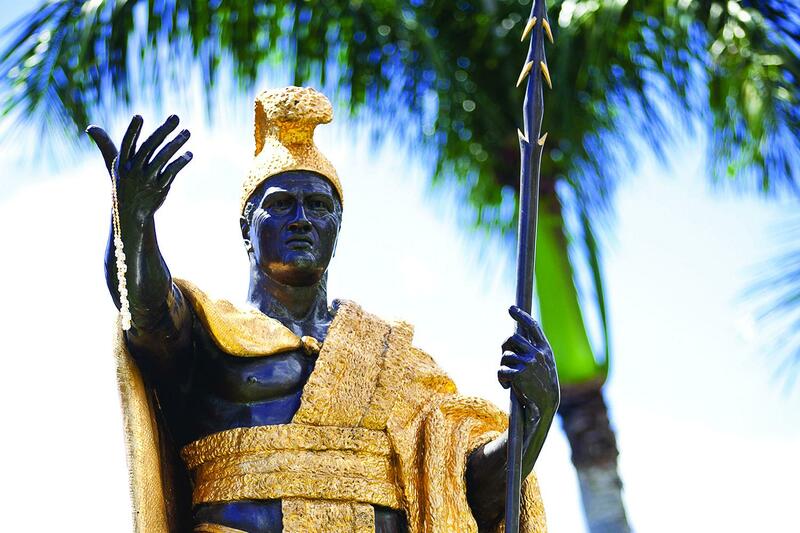 As you continue your tour through historic downtown Honolulu, you also get to view the 18ft tall Statue of King Kamehameha located right across the street from the ‘Iolani Palace. Kawaiahao Church, church of the monarchs, the first Christian church in Hawaii, is also one the attractions along with the Mission Houses Museum. The State Library and Archives as well as Honolulu Hale (City Hall) are also included. 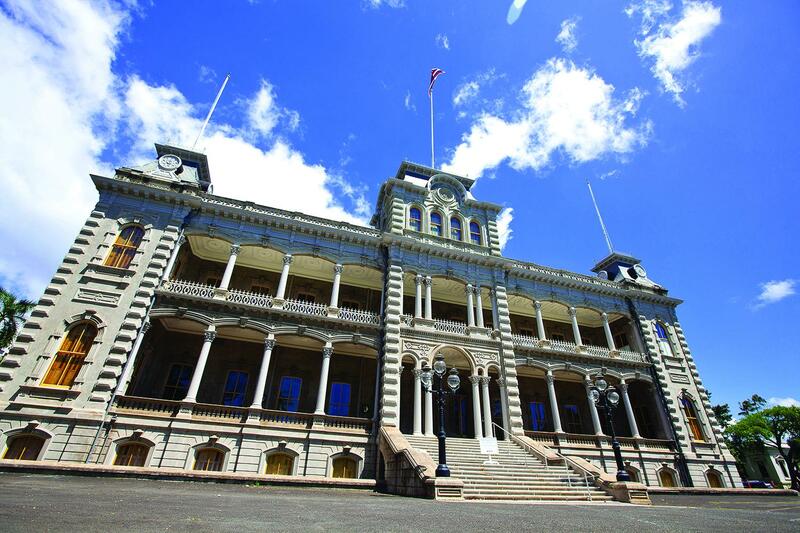 Enjoy these sites as your driver recounts the rich history of these Hawaiian landmarks.